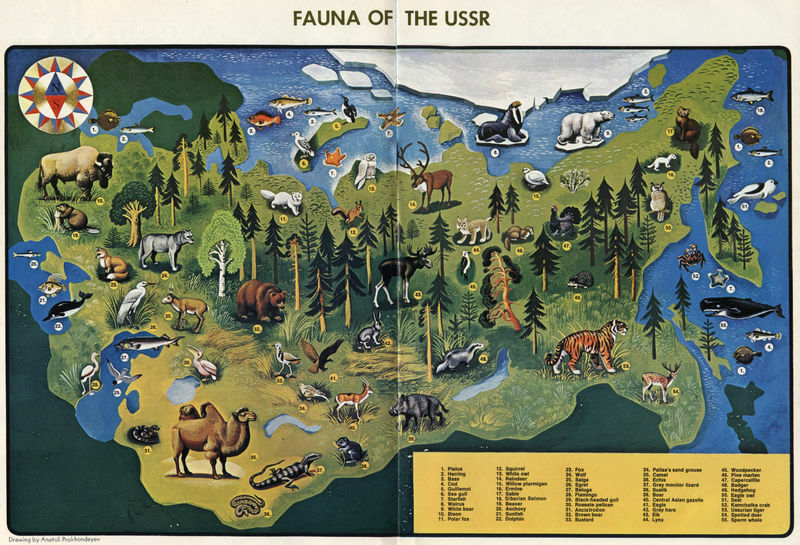 To avoid appearing American-centric, here's a map of the USSR's wildlife from 1972. 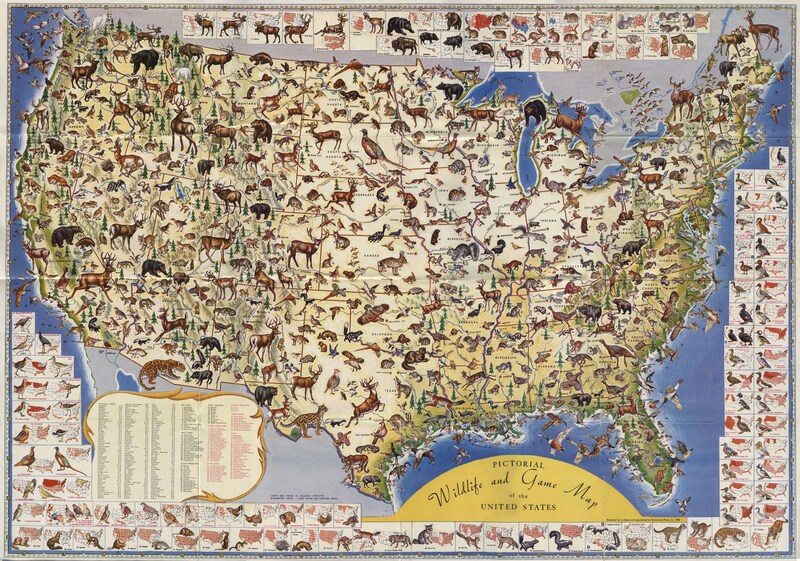 A decade or two after the USA wildlife map I posted a couple weeks ago, this USSR map comes from the pages of Soviet Life Magazine (see also) . It shouldn't be surprising, but the similarity to our American wildlife is readily visible. Both countries cover similar climates, span comparably mountainous, arid, wet, warm, and cold areas, and were (geologically speaking) connected not too long ago. It shouldn't be a shock to find deer, moose, bears, badgers, and so forth. There's a few asia-centric critters here, such as monitor lizards, camels, and tigers, but compared to our mountain lions, alligators, and turkeys we locals tend to forget that rather exotic creatures live in our backyards. The USSR map seems to have far fewer critters than the US, but that accounts for American excessiveness: the US map has a lot of repetition; look around the edge of the map for a more accurate count, and we'd be about the same if it weren't for all the different bird variants on the US map.